The MSXL Mid Ohio Open wait is over! The big show comes to Twin Towers Park in Fairborn Ohio with a good variety of vendors. The nations top divisional teams shoot it out for amazing prizes and bragging rights! As always a great time for all in the MSXL! Houston Heat and San Antonio Xfactor both seemed destined for Sunday before the tournament even started. Both teams looked solid and this season has held few surprises in the prelims. This Split Deck match looked on paper like it would simply be a stepping stone to the next round. 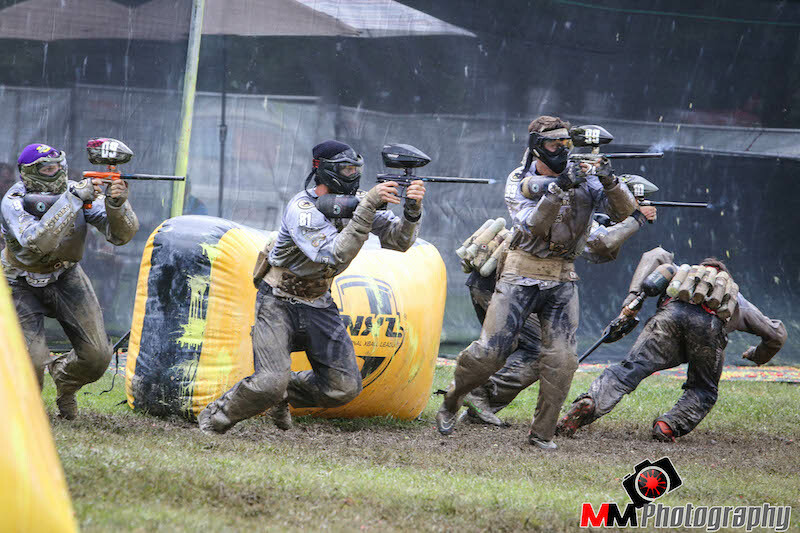 However, this match changed the entire tournament with a startling upset and one of the best paintball games of 2015. Like Matty Marshall likes to say, "that’s why you play the game!" For anyone who wants to watch all the matches right now, or people who already bought the webcast, go check out: https://xball.com/nxl//live/#/livestream. Sina has been doing a great job getting full matches up so you can watch them all. Alex Auclair from France just sent us this incredible videos from the Millennium Series featuring the Tontons. Please, make sure you SHARE this video! Also, don’t forget to like this video on Youtube and subscribe to the PbNation channel so I can keep bringing you video series like this! The dream that turned into a reality. When the idea was announced, many pitched in to make this league the true thing. Personally when I saw this, I was stoked. It was a new chance for the pros to shine all over again. Though, for the PSP, things weren’t the best picture for them. A new league. Hmmm… After PSP Dallas, it looked like PSP was done. Personally, PSP and NPPL were the leagues that I was born into. But now, the XBall League will be a new welcome to the family. The idea then grew bigger and bigger, gaining sponsorship’s and popularity. Players and fans everywhere were excited to see if this was truly going to be true. And on the date of March 17th, big things started to happen. A new league pronounced. New staff. New sponsors. And biggest of them all, new rules, layouts, and players. Two events have already past with Impact winning both. Now comes World Cup. The biggest event. This shows who the best of the best is. This truly shows how a small idea in the paintball community can change into a huge deal. Good Luck to all teams in World Cup and happy shooting! Edmonton Impact defeats San Antonio Xfactor to take the 2nd NXL event! Uprising defeated the New York Outlaws to take semi-pro. More results as we get them. If you know who placed in each division, post it up! Author JamesPosted on August 9, 2015 August 10, 2015 Categories News, Paintball NewsLeave a comment on Edmonton Impact defeats San Antonio Xfactor to take the 2nd NXL event!